socially irresponsible exploitation of labour. We go to great lengths to ensure our paper stocks are sourced from only the most reputable suppliers and therefore, our paper is approved by the FSC® (Forest Stewardship Council®), which supports responsible forestry processes and provides a guarantee to consumers that the products they buy come from responsible sources. The FSC trademark enables us to choose products that support forest conservation, offer social benefits and enable the market to provide an incentive for better forest management. Our plastic materials are made from recycled plastic items and are, in turn, recyclable themselves. We are also active members of the Green Stamp Program which is an innovative environmental program developed by the Printing Industries Association of Australia (WA) in conjunction with the Western Australian Department of Environment and Regulation. With funding through the Waste Authorities ‘Waste Avoidance Resource & Recovery Account’ Green Stamp is now seen as an industry leader in environmental commitment. Green Stamp is more than just a waste reduction strategy. It is a comprehensive environmental program which assists us with waste minimisation, reductions in energy consumption, hazardous chemical storage and handling, base line audits and much more. 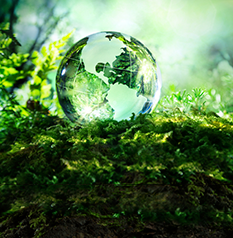 In partnership with Green Stamp we strive to go above and beyond our legal obligations and implement environmental practices that will help us move towards achieving industry best practices and better manage our day to day environmental impacts. Dataroll are committed to establishing and maintaining a Quality Assurance System based on the requirements of the ISO 9001:2015 Quality Management Standards. Click the link for a copy of our Quality Policy.